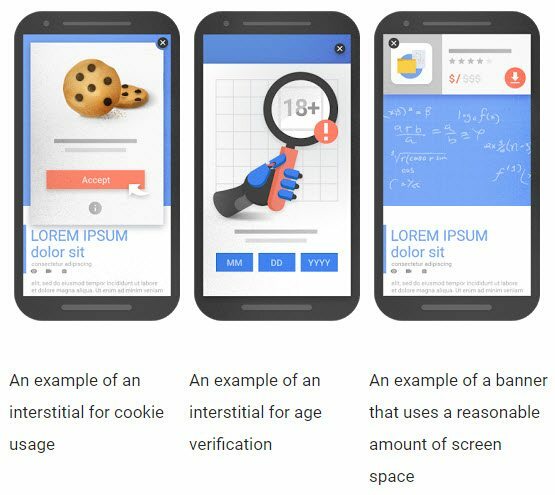 Get to know Google's definition of mobile friendly pop-up Forms. On January 10th, 2017, Google updated its mobile-friendly search algorithm to add smartphone content visibility as a ranking signal. Websites that use pop-up boxes (called Modal Forms in ConvertKit) may find that their website does not perform as strongly as it used to in mobile search. 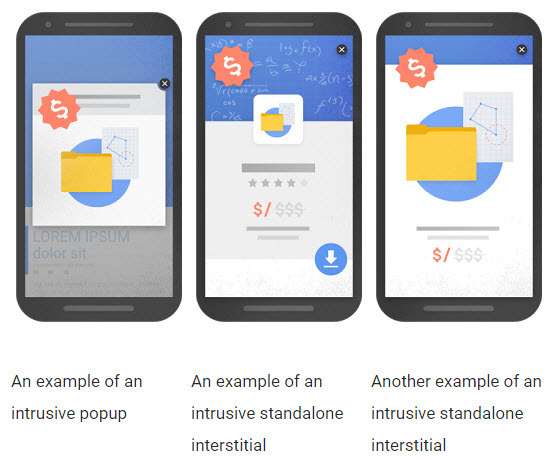 Note: Google uses the term "interstitial" instead of pop-up or modal. For ConvertKit's purposes, you'll want to use the word "modal" or "slide in". What's the point of changing things? What qualifies as an intrusive pop-up by Google’s definition? Keep in mind that your personal opinions of what is and is not intrusive don’t apply here. Google owns the definition and the enforcement of that definition in the search rankings. A modal or slide in that occupies the entire screen that is based on an intentional user action and has a way to exit should be fine under these new guidelines. Things like a welcome mat from AppSumo, a modal, or a slide in that comes up after 5 seconds or 50% scroll (all turned on for mobile) could all impact your mobile search rankings and should be avoided moving forward. Google offers a mobile friendly test tool to see how your website stacks up to the new rules. Check it out!